I am a tech novice and I am worried about how to convert MOV to WebM on Mac in a large volume. Just out of curiosity, do you guys convert that one by one? Though I am new here, I kind of sense that there must be some programs that can convert files by batches. Am I right? Technically, you are right. To convert MOV to WebM in batches is not a big deal if you find the right MOV to WebM converter to help. WebM refers to an open web media project. The WebM Project is dedicated to developing a high-quality, open video format for the web that’s freely available to everyone. This project was previously sponsored by Google and native WebM is supported by VLC media player, Mozilla Firefox, Opera, and Google Chrome. QuickTime did not itself support WebM, but did with a suitable third-party plug-in. As of the latest news, Google WebM project team has released certain plugins to allow playback of WebM files for Internet Explorer and Safari, which is a huge step forward to make WebM a mainstream file format. No wonder there is an increasing demand in converting files to WebM currently. In the following section, I will introduce two different ways to convert MOV to WebM. Read on and try them out for free. If you intend to convert MOV to WebM one by one, Zamzar is suitable for that. It is a free online app, dedicating to converting files in all possible formats. Users do not bother to install any program and they can freely convert files online. It is such a simple program that only four steps are required to convert a file. Take a look here to convert MOV to WebM. Step 1: Navigate to Zamzar website, after which select files or URL you wish to convert. Step 2: Once you import your files, it will be shown below. You can remove it if it is a wrong file to convert. Then, choose the output format as WebM. Step 3: Put an email address in the box to receive the converted file. Step 4: Convert the file, before which you should click Terms, read it, and agree the items. As soon as the process stops, you will get your converted WebM file safe and sound in your inbox. Anyway, if Zamzar is not so powerful for you and you’d like to convert a bunch of files at a time, Leawo Video Converter for Mac will be your best choice. This program is a professional video converter, presenting users with a pack of features, such as convert, merge, and edit videos . The output quality is absolutely ahead of other rivals in the industry, which indicates 1:1 output quality is preserved after users convert files using this program. It does not simply allow users to convert a file from one format to another, but also lets users to edit the file with minimum work. Moreover, it supports offline file conversion and batch processing. It is really a handy program that nobody would resist. You can follow my procedure here to convert MOV to WebM on Mac in batches. Step 1: Download and install the program here. Click the button below to install it and launch it after the installation completes. Step 2: Add the videos. 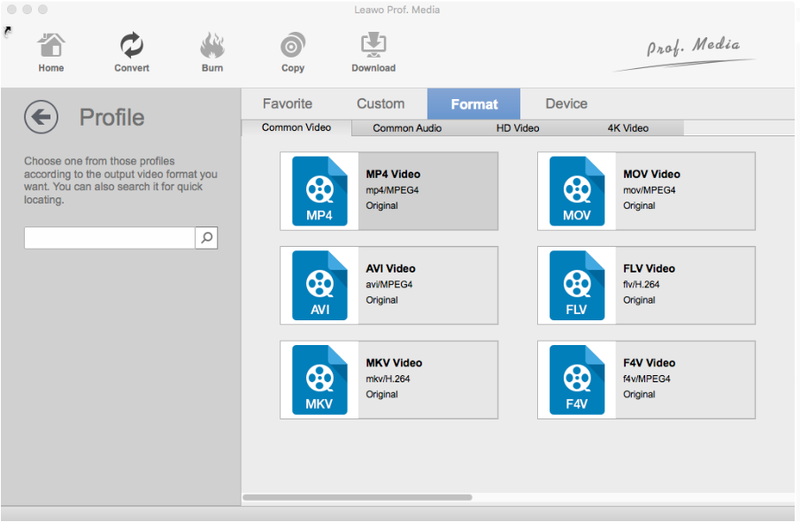 Click Add Video Folder or Add Video to import your MOV videos here. Click Change from the format drop-down menu and set it to VP8 Video, which is WebM as well. Step 4: Edit the file. Click Edit on the format drop-down menu, and you will be able to set video/audio codec, aspect ratio, bit rate etc for the file. Or click on the editing icon to trim or crop the file on the Output Preview page. Step 5: Set an output directory. Click the big button Convert on toolbar and a sidebar will pop up to let you specify a folder to save the export file. After it is done, hit on the below round button Convert to start processing the file. Step 6: Track the process till it completes. Track the process in real time by viewing the green progress bar, which will tell how much percentage is done till that moment. As soon as it completes, your WebM video will be available immediately. By comparison, Zamzar is a free online app that fits to simple file conversion as it does not support processing files in batches. The whole process also depends on network connection heavily, indicating that if no network is accessible, this app does not work at all. Though it is free, hardly any features are provided as a consequence. That means trimming and cropping is out of reach by this app. 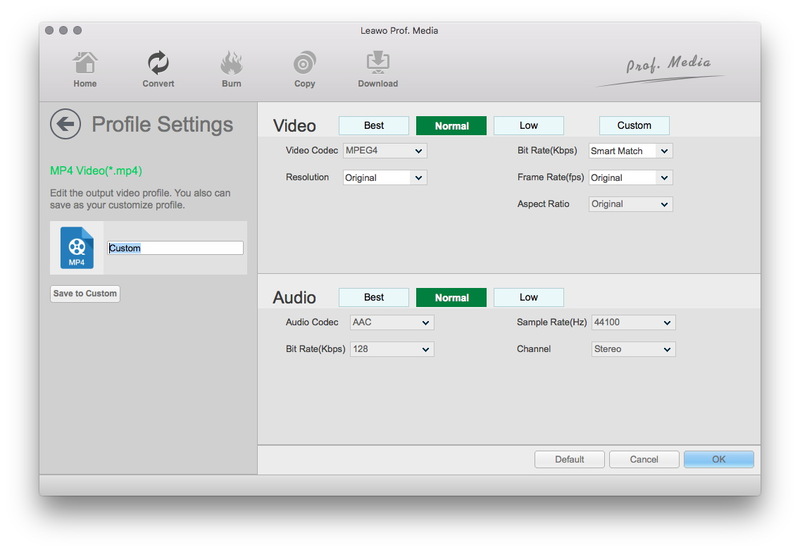 On the contrary, Leawo Video Converter for Mac is a real thing and powerful enough to meet users’ requirements in all kinds of demands, such as video conversion, editing, merging, and so on. Though it is a paid program, a trial version free is always available for first time users to try it out before they buy it for permanent usage. It is absolutely the best choice for you to convert MOV to WebM Mac.